With one million minutes of Associated Press and Movietone News newsreel footage being added to YouTube comes the chance to watch Alfred Traeger's Australian Outback Morse typewriter being demonstrated. 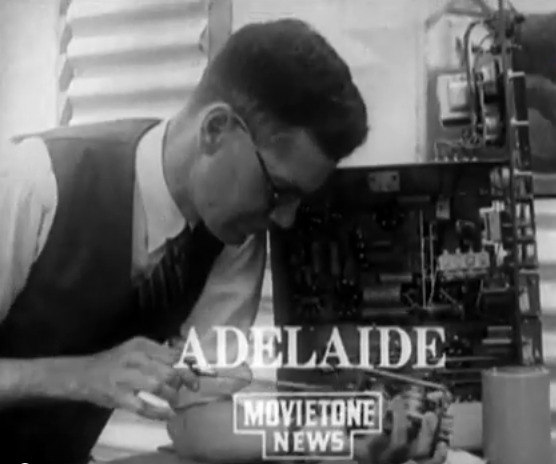 It is a short segment in a British Movietone News program filmed in Adelaide, probably in 1933, the year Traeger invented the machine. A post of this blog featuring the Traeger typewriter can be found here. See also the story of how I was fortunate enough to stumble across it here. My article on the Traeger appeared in ETCetera No 95, in September 2011. This is a photograph I took of the Traeger Morse typewriter at Museum Victoria's ScienceWorks in Melbourne during the I Am Typewriter festival in 2011. 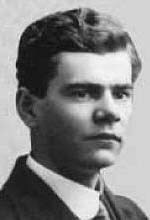 Alfred Herman Traeger is best known for his development of a pedal-powered radio, which from the late 1920s provided a means of direct contact to the outside world for Aboriginal communities and white Australian settlers living in the nation’s vast “outback”. But Traeger’s wireless sets required a working knowledge of the Morse code, which few of the people in need of his radios had. 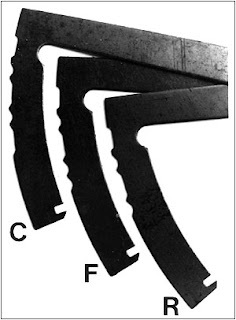 In 1933, Traeger overcame this problem by devising his Morse typewriter. from the South Australian Medical Heritage Society's Virtual Museum. When he developed his wireless, Traeger was aware of earlier, World War I-era pedal-powered electricity generators. As a young man, he had seen a travelling Pathé picture show, the screening of which was made possible by a bicycle-mounted power unit. 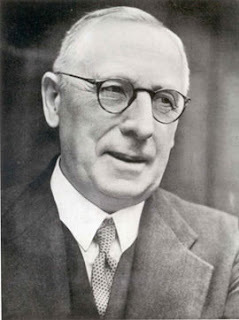 While it generated only a low voltage, it gave Traeger the idea he would, in 1929, turn into the vital element in the success of the Royal Australian Flying Doctor Service. As one biographer would have it, Traeger made “generator armature winding an art form”. His two-way network became “the heartbeat of outback life”. 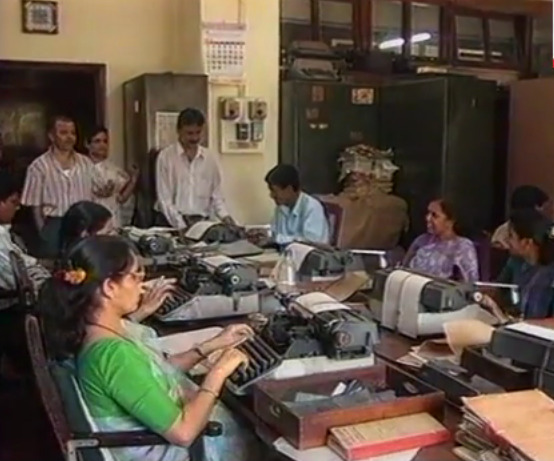 The Traeger Morse typewriter is rudimentary to say the least, yet it was highly functional. 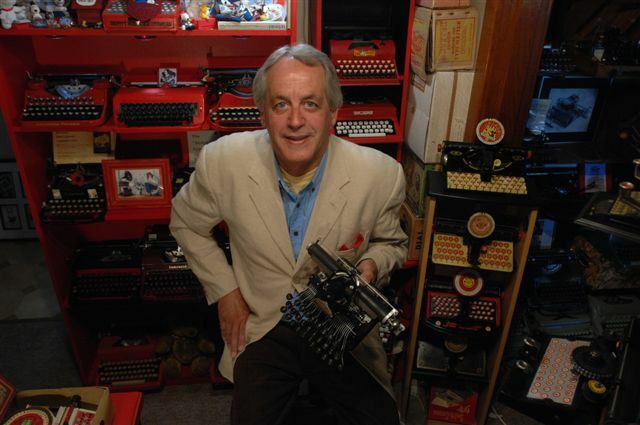 Strictly speaking, the Traeger “typewriter” is no more than an automatic Morse keyboard. While it resembles a typewriter, it simply comprises of keys connected to a working face of pivoted steel bars, with notched long and short spacings corresponding to the Morse alphabet. The Traeger machine helped provide what Flying Doctor Service founder, the Reverend John Flynn, described as a “mantle of safety” for Australians living in extreme isolation. 12 he made a crude but effective telephone receiver, and was able to transmit between the tool shed and the family home, 55 yards distant. Traeger used whatever he could lay his hands on: bits and pieces of equipment from around the farmyard were patched together to make a microphone and earpiece; the diaphragm for the earpiece was made from a tobacco tin lid, the magnet was the prong of a pitchfork and the carbon for the microphone came from the kitchen stove. Farm fencing wire was also called into service. Corps. However, he was turned down because of his German ancestry, even though his grandparents had long since become naturalised Australians. Traeger’s bent for inventing led to him applying to the US Patent Office in Washington DC in March 1920 for a combined variable-speed clutch and free-wheel device for motorcycles. In 1923 Traeger joined Hannan Brothers in Adelaide, handling their car generator and electrical repairs. He had already become intrigued by radio. 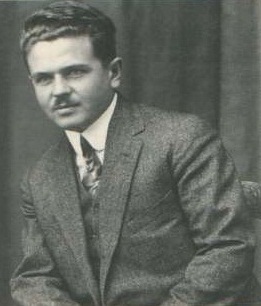 While at the school of mines and industries, Traeger had studied the work of Guglielmo Marconi and Heinrich Hertz on the nature of radio waves. 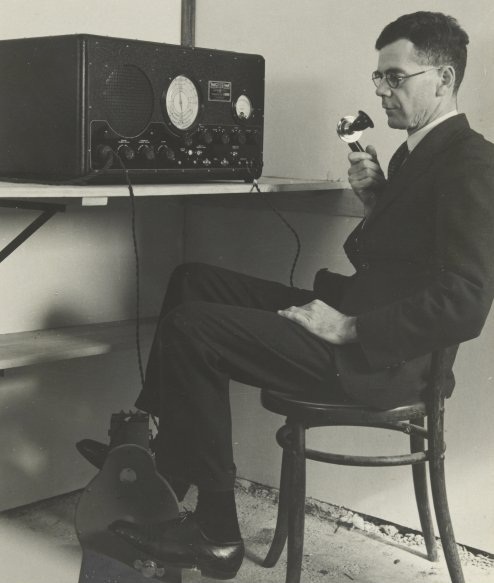 Traeger obtained an amateur radio operator's licence, with the call sign VK5AV, and became a member of the Wireless Institute of Australia, the oldest amateur radio society in the world (established 1910). For his final practical examination at the school of mines and industries, Traeger had to build a high-voltage generator. It was through this device that, in 1925, Traeger was introduced to John Flynn. On a salary of £500 a year, Traeger joined Flynn’s mission. Flynn had founded the Australian Inland Mission of the Presbyterian Church of Australia in 1912, and in 1928 the AIM established an Aerial Medical Service. 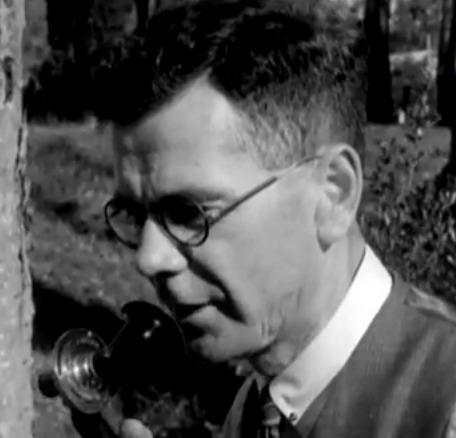 At the time of meeting Traeger, Flynn had declared “the practicability of the Flying Doctor proposal depends almost entirely on the widespread adoption of wireless by bush residents”. In 1926 Flynn and Traeger carried out wireless experiments in outback areas, and succeeded in transmitting the first radio telegram. But the awkwardly-sized and weighted, heavy-duty copper oxide Edison batteries proved unsuitable for remote homesteads. Traeger overcame this problem by inventing a small, low-cost (£33 each), durable, easy-to-operate pedal-driven generator which was “comfortably” capable of producing 20 watts of direct current power at a pressure of 300 volts, sufficient to run a high frequency transceiver. 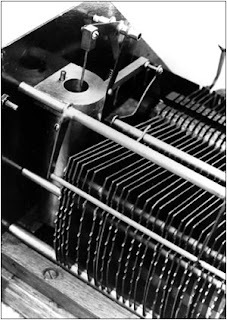 He enclosed the generator's fly-wheel and gears in a cylindrical metal housing, with pedals outside and a cast base to be screwed on to the floor beneath a table. Traeger built the transceiver into a box, employing a master switch to separate the crystal controller transmitter from the receiver. 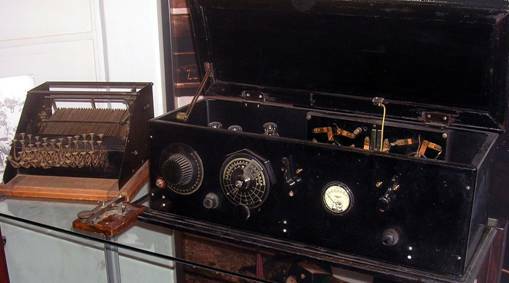 From 1929, Traeger travelled to outback areas across Queensland, South Australia, the Northern Territory and Western Australia, installing these sets and teaching the users Morse code and how to use their radios. He found, however, that for many people, grasping a working knowledge of the Morse code presented a fresh challenge. 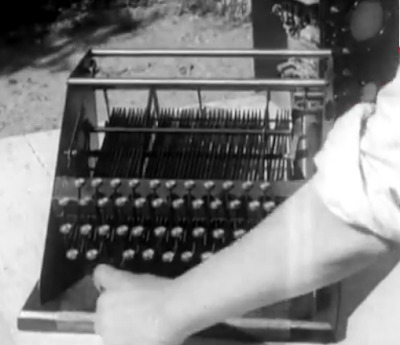 So in 1933, Traeger invented his typewriter Morse keyboard, enabling outback users to type their message in plain language and have it transmitted in Morse. He later developed a voice-capable transceiver. Traeger was honoured for his work with the Flying Doctor Service (as it had become known in 1942) by being appointed a member of the Order of the British Empire in 1944. 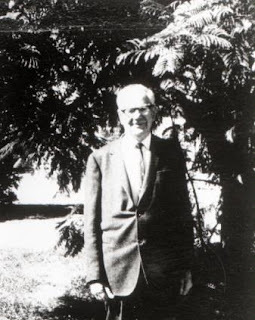 Traeger had suggested the idea of a School of the Air, and in 1951 this became a reality through the work of Adelaide Laetitia Miethke, a South Australian teacher. Traeger continued inventing: In 1974 he patented a gas turbine-driven car and used solar power to convert salt water to fresh water. He died on July 31, 1980, at Rosslyn Park, Adelaide. That footage is a wonderful discovery!